We think it is likely that the US economic growth rate is peaking, but we also think it is highly unlikely that a recession is coming. We therefore expect this correction in stock prices to end over the next month or so, and we believe that most of the price declines have been seen. 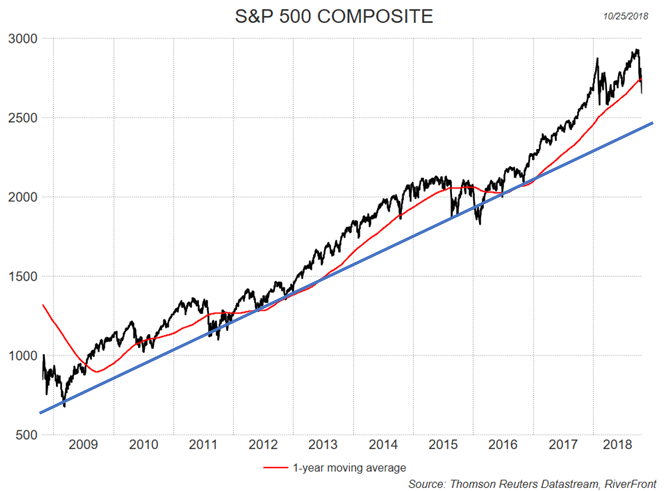 2018 will be remembered as a banner year for economic and earnings growth and yet as of the end of October, US stocks, as measured by the S&P 500, are flat following a strong year in 2017. We think the reason for this is a combination of factors. First and most important in our view has been a change in investor expectations regarding the ultimate destination of interest rates. For several years now, the Federal Reserve has projected that short-term interest rates would eventually rise to around 3%. Key here is the word “eventually” for, like the boy crying “wolf”, in practice the Yellen Fed came nowhere close to allowing investors to doubt their intentions. Following corporate tax cuts, record low unemployment and economic growth above the Fed’s long-term sustainable rate, investors have come to believe a 3% short-term rate is possible in 2019 and Chairman Powell and his colleagues have been encouraging investors to believe it. As a result, the more interest rate sensitive sectors of the economy (such as housing and autos) have seen a sudden slowing in demand and their share prices are already near bear market territory. The second headwind for stocks this year has been the growing uncertainty over trade between the US and its global trading partners. While a deal seems to have been made between the US and South Korea as well as with Canada and Mexico, there is a looming negotiation between the US and Europe, and the China/US talks are at a standstill. Nothing hurts business like uncertainty. 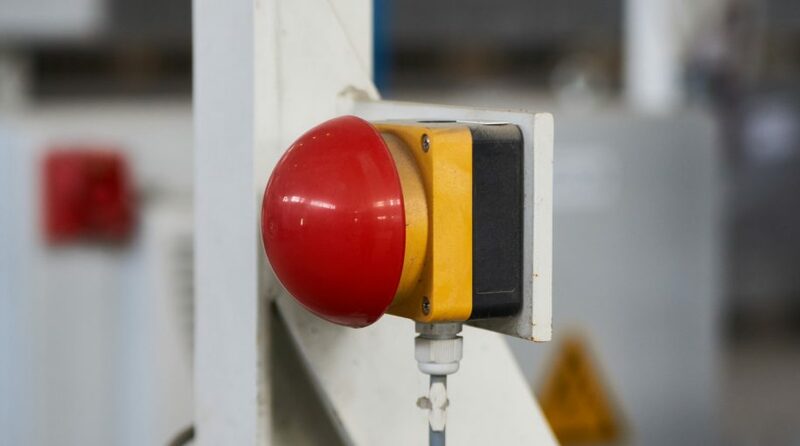 Confident businesses invest in people, equipment and technology, but the CEO of a global business today faces considerable uncertainty, and this is being reflected in the forward-looking statements by CEOs. That the US stock market’s correction is occurring during a strong earnings season says that investors were expecting good earnings but are concerned about the uncertainty expressed in companies’ forward guidance. In today’s economy, semiconductors are the cyclical “widget” of commerce. The Philadelphia Semiconductor index bottomed in January 2016 and rose approximately three-fold to its recent peak in June of this year from which it has fallen about 20%, most of it in October. This suggests that the tariff war is hurting global business, as evidenced by weak earnings reports by some semiconductor bellwethers recently. Once again, we do not expect tariffs to bring down this global economic cycle, but we do think they have played a role in the current correction in markets. Three very different pictures for three different regions: Looking at global stock markets and dividing them into US, Developed International and Emerging shows just how different their journeys have been over the last 10 years. The US bull market since 2009 has been remarkable. Past performance is no guarantee of future results. You cannot invest directly in an index. Not indicative of RiverFront performance. Rocket ship: Ten years ago, few would have foreseen that one of the best decades for US stocks was about to begin. From a technical perspective, the S&P 500 is still in a strong pattern with its primary trend (the one-year moving average) still rising. Perhaps the biggest risk is its own success which has taken investors from skeptics in the early days to believers today. We think there is a reasonable chance the lows were seen last week. If we are wrong and the market has further weakness ahead of it, then the blue up-trend line at around 2500 should provide a level for the market to form a base. 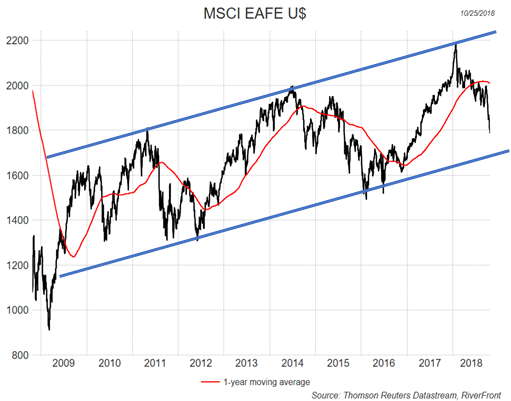 Steady eddy: Compared to the US, the bull market in Developed International stocks (EAFE) has been much more pedestrian and much more cyclical. That said, unlike the US the current correction has been underway since January. The primary trend (red line) has rolled over, but the index is well below it and is now close to its rising support line (blue line). We are optimistic about the returns from these markets over the next few years. Volatile: Emerging Markets (EM) were the fastest to bounce back in 2009/2010 as China aggressively stimulated demand in response to the great recession. Then as commodities prices collapsed in 2015, led by oil, Emerging Markets suffered a bear market, returning to 2009 levels. Despite a run to new highs early this year, rising US interest rates have led to falling EM share prices and currencies. Add in the uncertainty surrounding tariffs and EM markets are back to 2010 levels. We expect EM currencies and stocks to find support close to current levels and build a base for better times ahead.